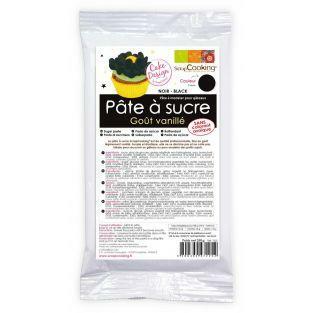 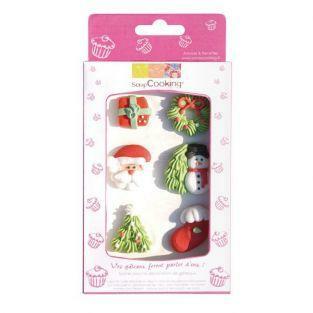 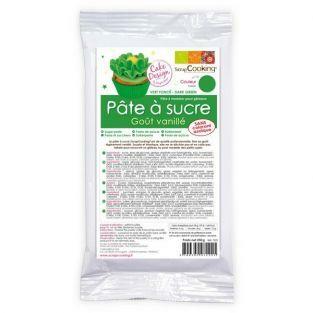 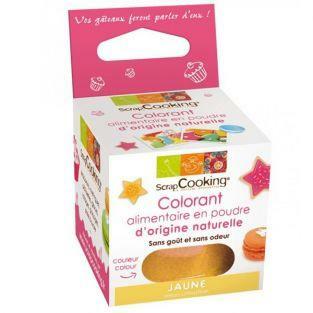 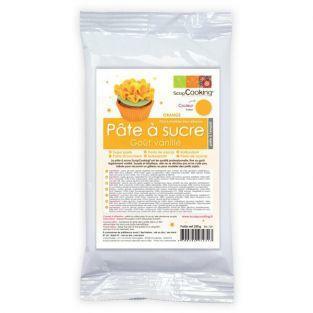 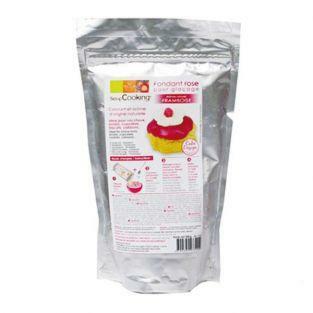 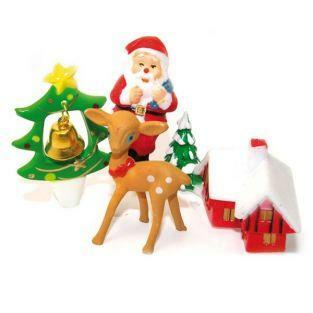 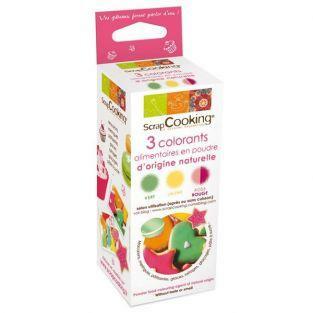 Food Plasticine 100g gold to bring a festive air to your preparations. The Culpitt modelling paste gold is perfect for modelling figures. 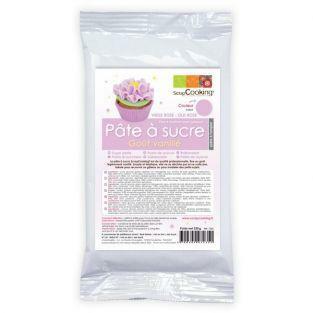 Create gorgeous flowers or (Christmas) figures for your cake.How to use: The cocoa butter in this modelling paste needs to be warmed by kneading to bring it to a workable consistency. 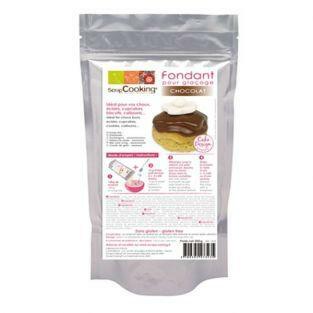 The best way to do this is to cut the paste into small pieces and knead each of them separately, as you knead the paste will go from hard to dry and crumbly and then to soft and malleable. 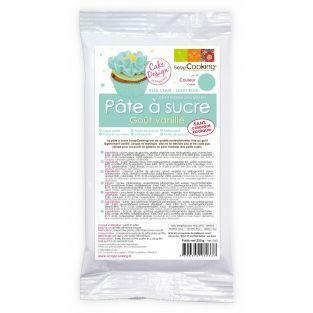 Combine the small pieces when they are warm.Ingredients: sugar, glucose syrup, cocoa butter, rice starch, colour (E171), arabic gum (E414), xanthan gum (E415), colour (E172).Content: 100 gram. 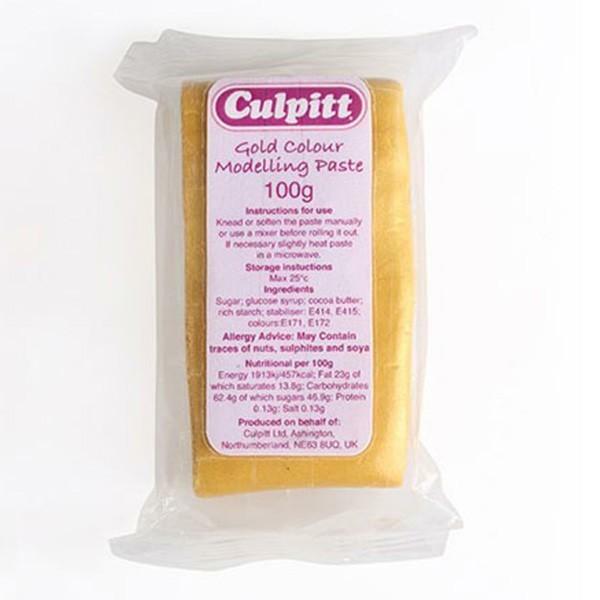 Edible Modelling Paste 100 g - Gold The Culpitt modelling paste gold is perfect for modelling figures. 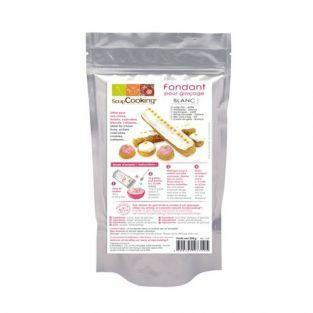 Create gorgeous flowers or (Christmas) figures for your cake.How to use: The cocoa butter in this modelling paste needs to be warmed by kneading to bring it to a workable consistency. 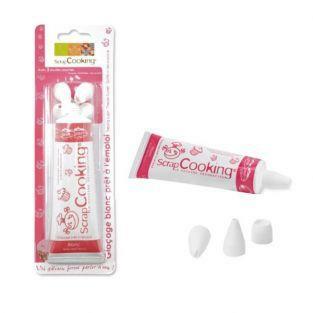 The best way to do this is to cut the paste into small pieces and knead each of them separately, as you knead the paste will go from hard to dry and crumbly and then to soft and malleable. 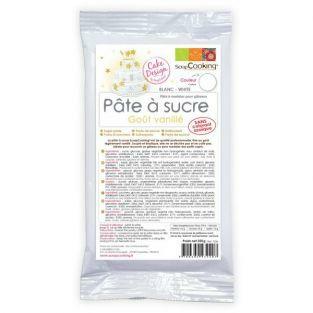 Combine the small pieces when they are warm.Ingredients: sugar, glucose syrup, cocoa butter, rice starch, colour (E171), arabic gum (E414), xanthan gum (E415), colour (E172).Content: 100 gram.